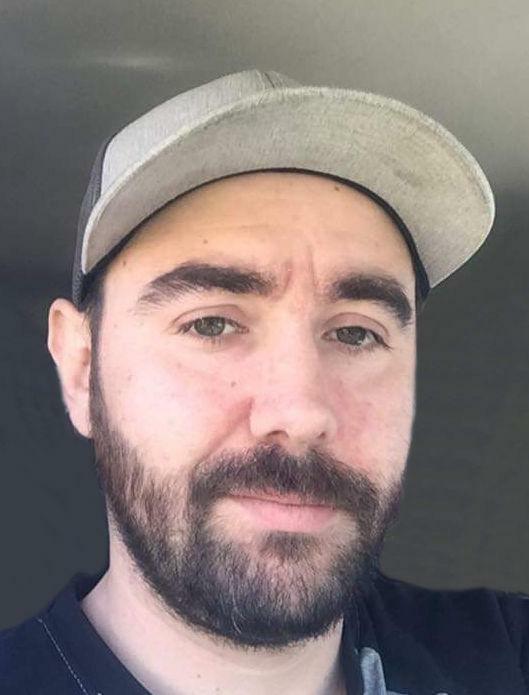 It is with heartfelt sadness that we announce the passing of Brandon Dale Howell on Sunday, April 14, 2019 at home in Cape Breton. Born on June 11, 1985 in Sydney, Brandon was the son of Derek and the late Darlene Patricia (MacDonald) Howell. Brandon will be dearly missed by the light of his life, Arahlyn Patricia who is daddy’s little girl. Besides his father, Brandon is survived by his brother, Andrew (Kayla); daughter, Arahlyn Patricia; nieces, Emilie and Elise; cousins, Brittany and her children, Olivia and Mason, Mikalyla, Cody, Shelbi (Mircia) and their children, Eli and Ella, Chelsey, Devin, Matthew and Sarabeth who were like brothers and sisters to him; aunts and uncles, Glenda (Carlyle), Gaye (Tracey) Gayle (Brian), as well as extended family, Kristin, Jenna, Robyn (Chris) and their daughter, Layla. Besides his mother, Brandon was predeceased by his grandparents, Gordon and Freda MacDonald and Melvin and Eva Howell. Brandon had the love of the outdoors from his dad. Fishing, skateboarding, baseball, hockey (Montreal Canadiens), working on cars and trucks were all special to him. From his mom he got his love of music and guitars. He will miss his best buddy, Duke, his dog and four-wheel mudding with family and friends. Brandon loved being the life of the party. Wherever he went there was going to be a good time had by all. His personality was one like no other and he had many friends that he thought of like family (20W). Brandon could put his hand to anything and succeed. Visitation for the late Brandon Howell will be held on Thursday, April 18, 2019 from 2-4 and 7-9 p.m. at the Pier Community Funeral Home, 1092 Victoria Rd. (entrance on Church Street), Sydney. Memorial service to celebrate the life of Brandon will be held in the funeral home on Friday, April 19, 2019 at 9 a.m. in the All Faith Chapel with Fr. Paul Murphy officiating. A light lunch will be served in the funeral home reception area following the service. Brandon will be put to rest with his mother in Resurrection Cemetery, Sydney Forks. Donations in memory of Brandon may be made to the Pier Community Funeral Home to support the family in their time of need.